The camp area we found at Ironton Park is a little ways off the main highway. It had a couple of larger spots for group camping. We drove down the bumpier part of the road and was able to find a nice, isolated spot that did not get a lot of traffic (due to the condition of the road). There was a tranquil sounding creek running by it and lots of shade trees. We saw some deer and smaller squirrel/chipmunks in the area, but nothing too dangerous. The site also had some amazing views of the Red Mountains and the old ghost town of Ironton that you can walk around. 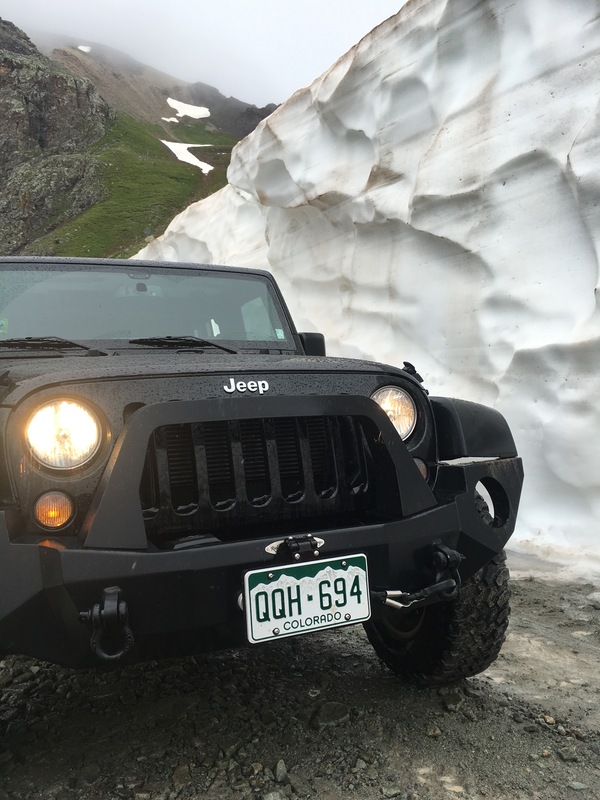 Ouray is proclaimed as the “Jeep Capital of the World” with a lot of the trails connecting to each other. 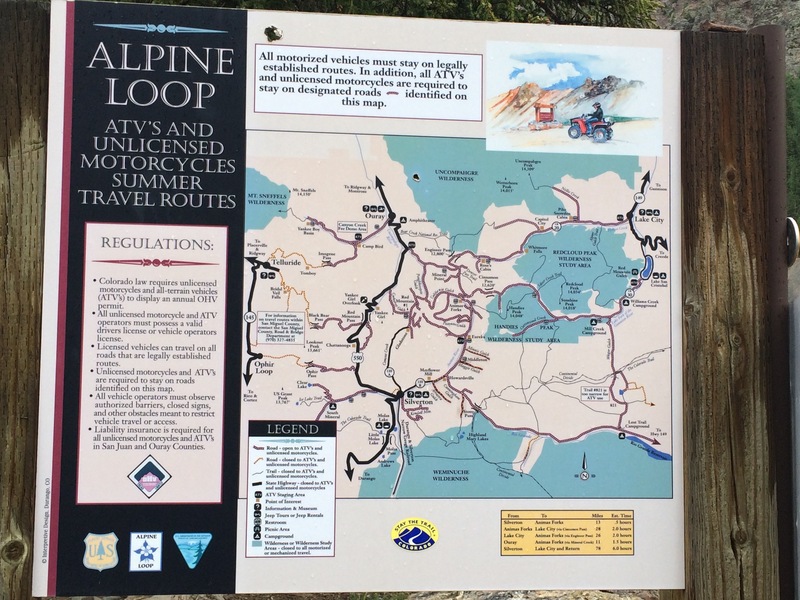 Their main trail system is called the Alpine Loop. 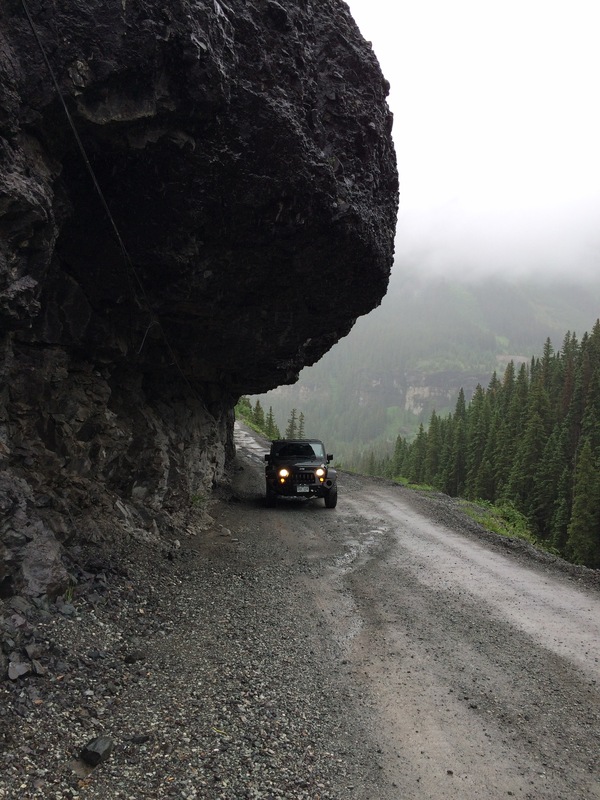 We ventured off on a trailhead that was close to where we were camping at, called the Corkscrew Gulch and Hurricane Pass (#11 in the book Guide to Colorado Backroads & 4-Wheel-Drive Trails). Some of the passes were still under snow and closed, but we were able to do a majority of the trails. This trail led to the California Gulch Trail (#13 in the book) and came out in Animas Forks, which is a really cool old mining ghost town. A lot of the buildings are being restored to their original condition. Due to time constaints, we took the highway back through Silverton. 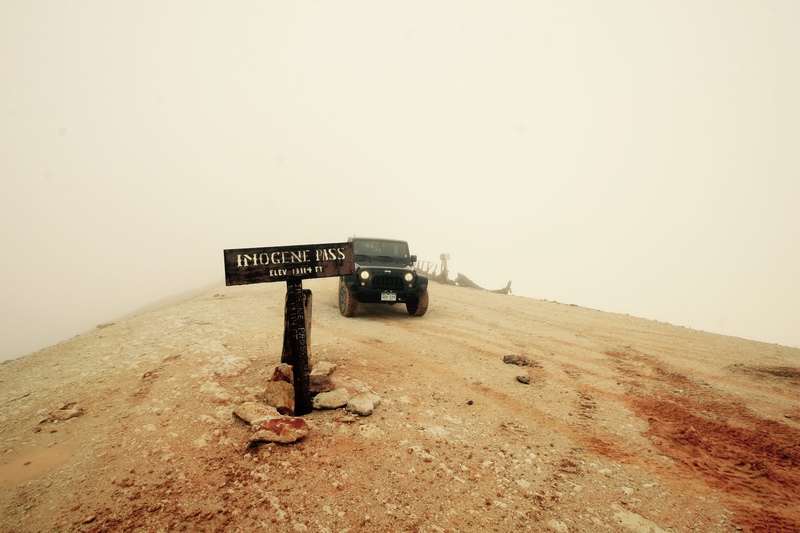 The next day we headed out Jeeping to Imogene Pass (#4 in the book). 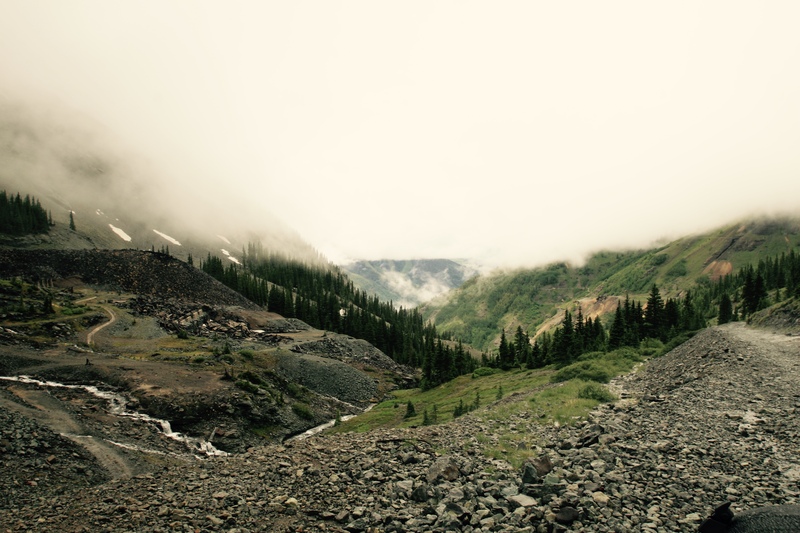 The trailhead for this one is by the outskirts of Ouray and starts with Yankee Boy Basin Trail (#2 in the book). We were one of the first set of vehicles to go across Imogene Pass after they had finished plowing the snow out of the pass the day before. A couple of times the trail was a little hairy as it was still covered with snow and not enough room for multiple vehicles to pass on. We also ran into some not-so-smart individuals who took up a small truck without 4-wheel drive (spoiler alert – it got stuck and the Jeep in front of us had to pull it off the path so we could all pass it), as well as an old Suburban that kept overheating. This trail came out at Telluride. We drove around the area and hung out at the park for a little while with the dogs. 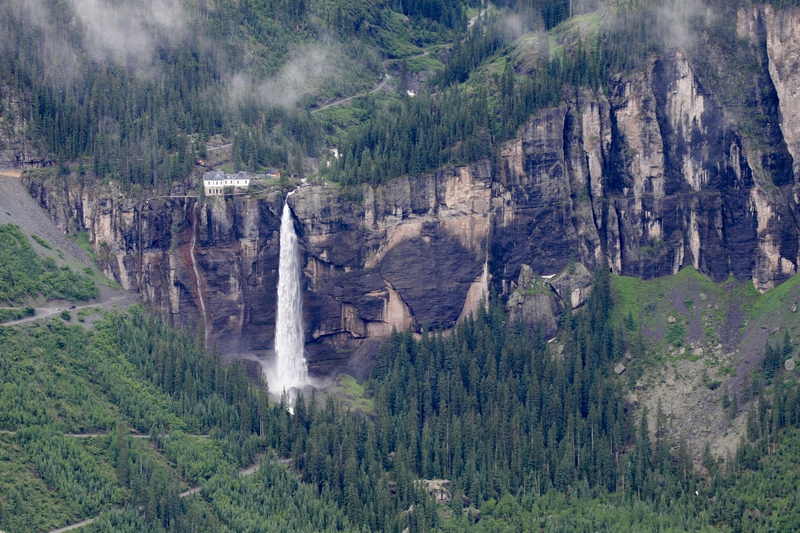 We checked out Bridal Veil Falls, which is on Black Bear Pass (#5 in the book). The pass was still closed due to the snow, but we were able to drive up to see the falls. You can also park at the bottom of this trail and just hike up to the falls, but the rain deterred us from doing that! On the way back to our campsite, we took the Ophir Pass and Alta Lakes Trails (#7 in the book), which was a pretty easy trail, but cut our highway miles back to Ouray in half. 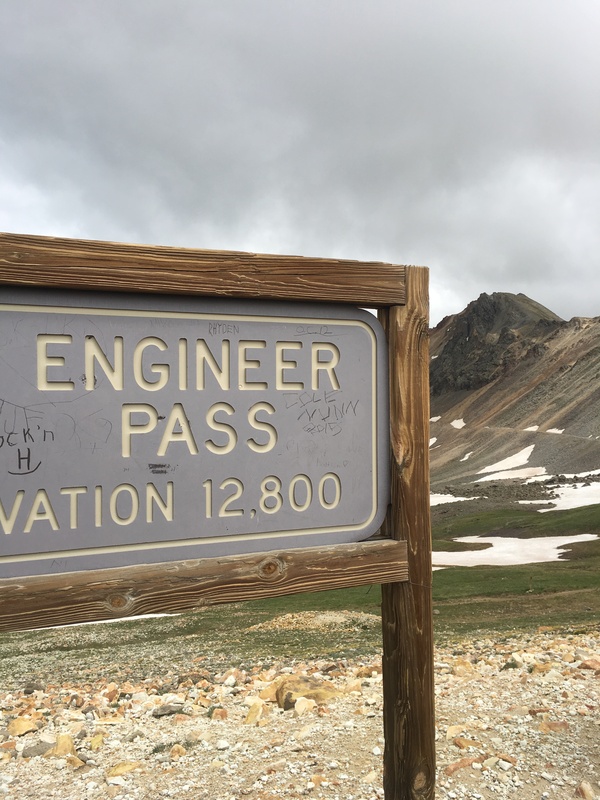 We went over Ophir Pass, which was 11,789 feet in elevation. The next day we went on the Mineral Creek Trail (#9 in the book), which had a couple of more difficult areas. 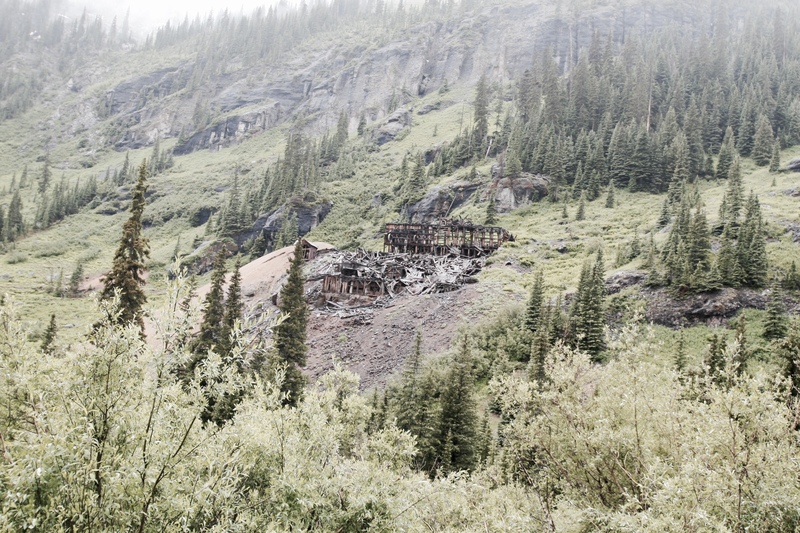 We took Engineer Pass (#14 in the book) to Lake City, which was a cute little town. The park had views of the two rivers meeting and a nice place to stop for lunch. 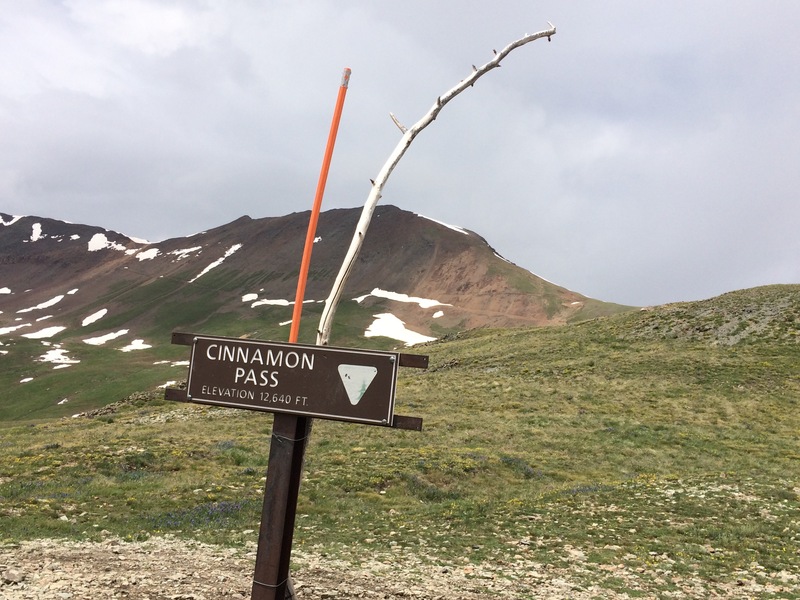 We headed up Cinnamon Pass and Wager Gulch Trails (#15 in the book). 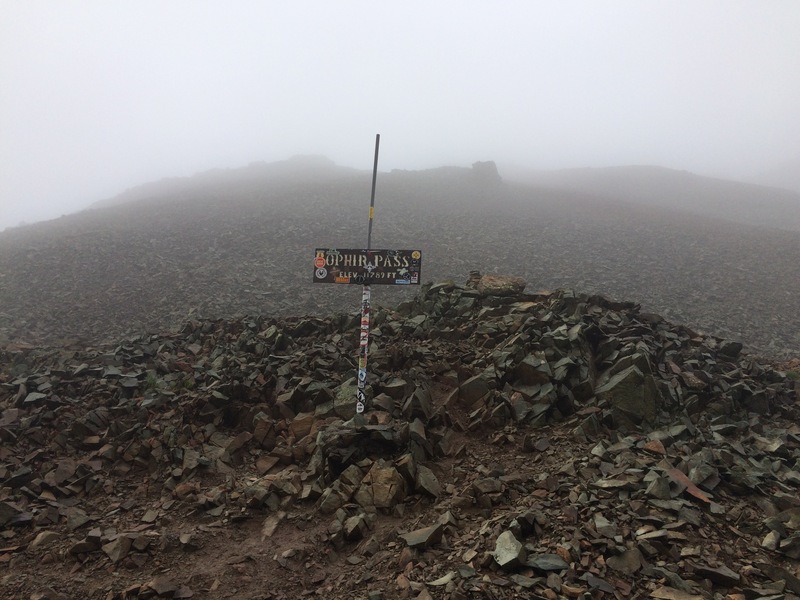 This one had some rough spots, but an overall easier trail. 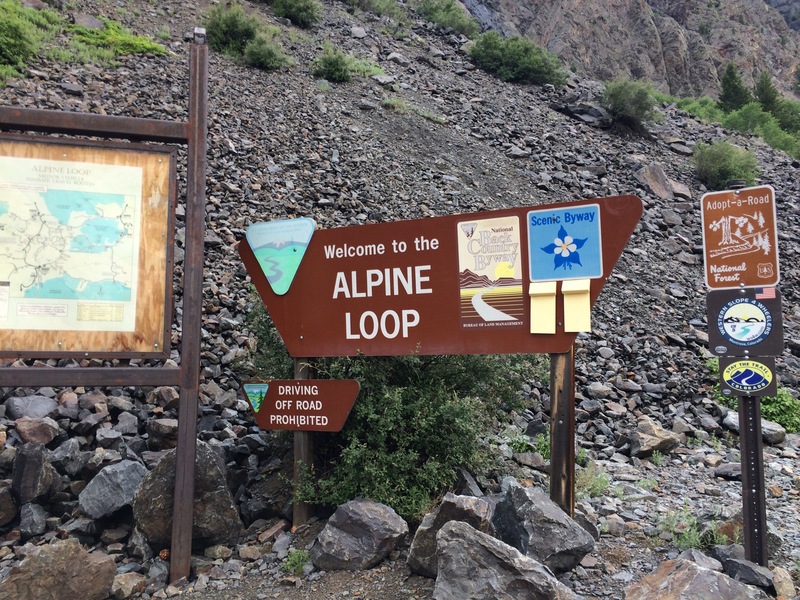 The most interesting thing we saw was a smaller SUV pulling a pop-up camper to the top of this mountain – not sure if they had planned to camp at that elevation or what. Downtown Ouray has a bunch of fun shops and hot springs water park. The hot springs have multiple pools at different temperatures, with slides, obstacle course, and hot tubs to enjoy. It was a very relaxing place to go with not too many people in the deeper pools. You also cannot beat that view! 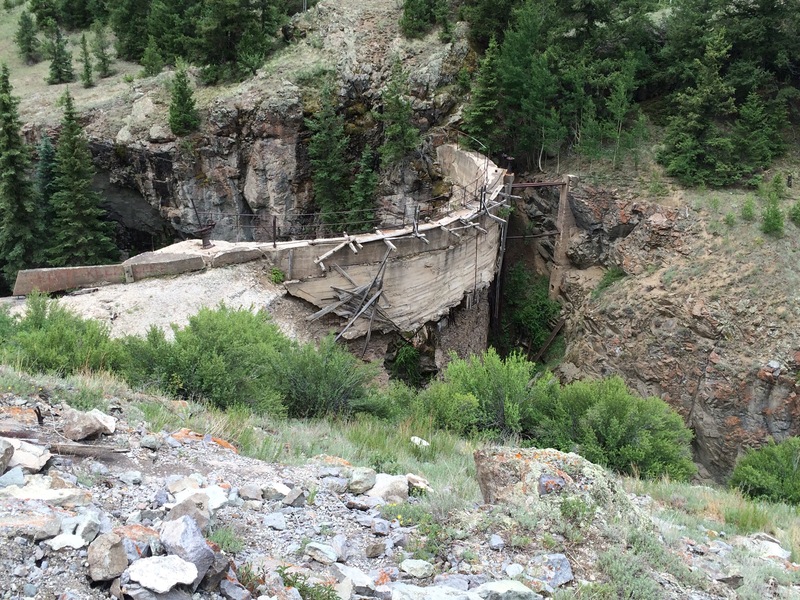 Ouray also has a ton of hiking trails close by. We took the dogs on a shorter one by town called Baby Bathtubs. It was a cute little hike that followed a creek. This would be a good hike for those with smaller children, as there are a couple of spots where the creek is shallow that the kids can play in. We went downtown to check out the Fourth of July festivities. They were having this fun firefighter water war competition, with teams of two non-firefighters blasting each other with the big fire hoses until one team fell over or the team made it across to other side. It was quite the site to watch, but we recommend going down pretty early to grab a good seat. The picture was right before they faced the nozzles at each other! That night was the big Fourth of July celebration. Prior to the fireworks, there was a huge Jeep parade downtown. We did not feel well equipped with fun lights, so we decided to just watch it this year (and possibly prep for next year’s parade). A lot of the Jeeps went all out with fun lights, horns, and music. The fireworks were also pretty amazing to watch. 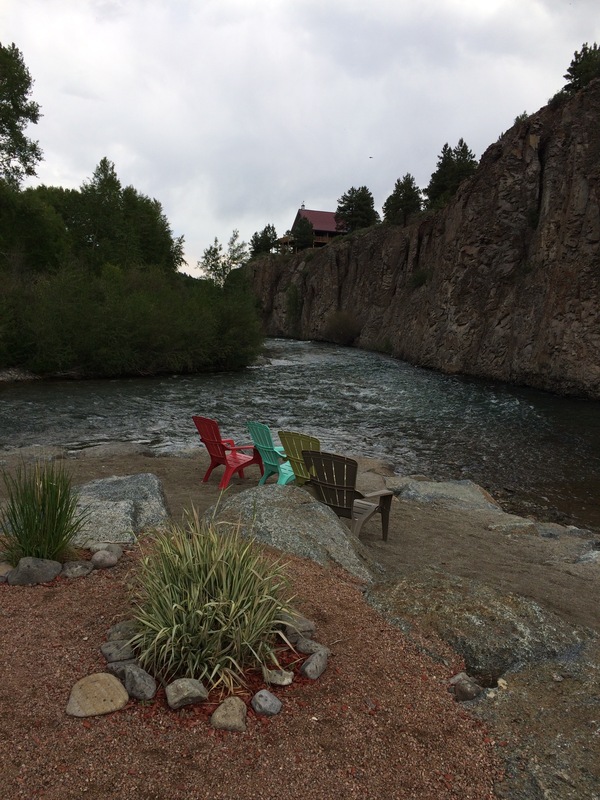 Ouray is in a little valley of mountains, so the sound echoed off all the rocks, which made it even more magical. For food during our trip, we made some of our go-to’s, just because we did not know how much time we would spend in the Jeep vs. campsite. 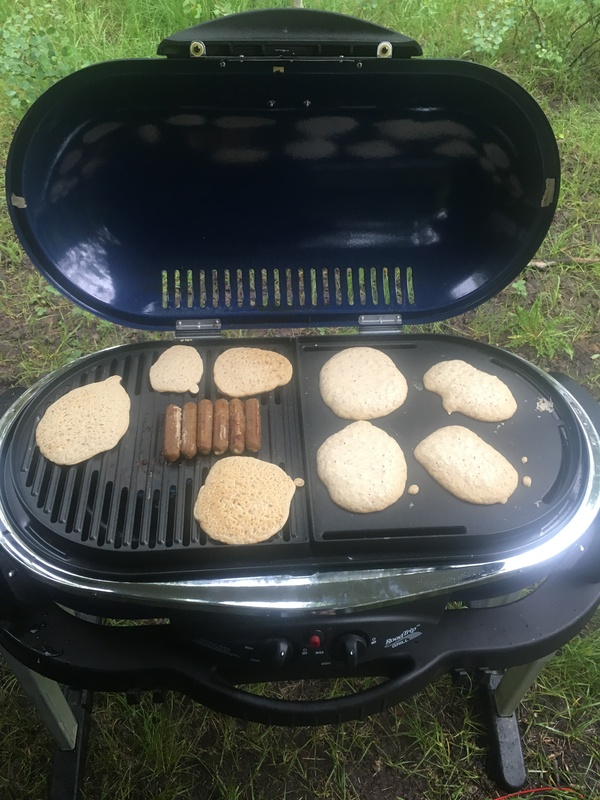 We always try to make a bigger breakfast before heading out and love pancakes with the Field Roast Sausages. 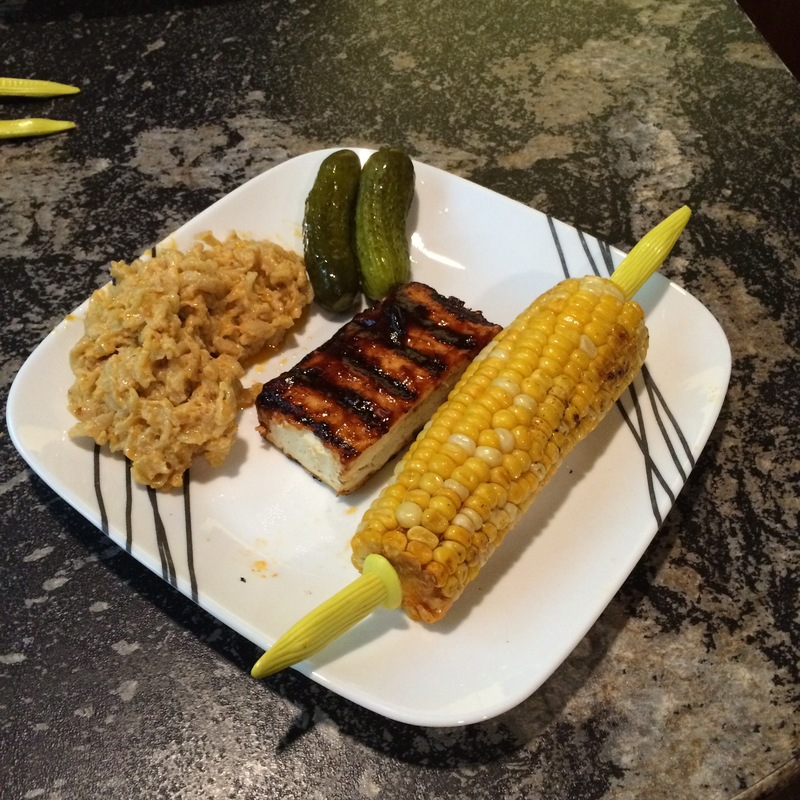 For the Fourth of July, we made some America favorites of grilled BBQ tofu, mac & cheese, and corn-on-the-cob. 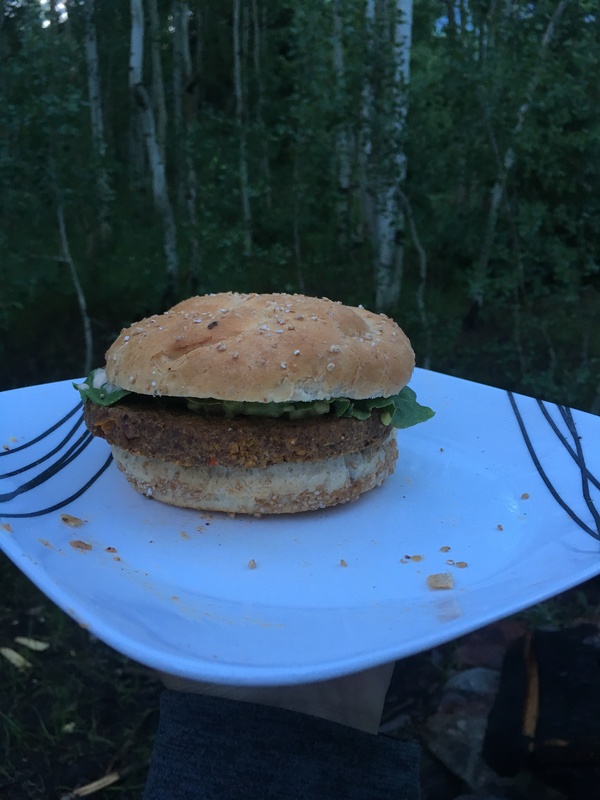 We also tried the Neat veggie burgers (powdered mix where you just add some veggies) – they were pretty good and easy to make. Overall, we had a great time in Ouray. We would love to go back and visit, as well as hit up a couple of the Jeep trails we were not able to do this time around. We loved the area we dry camped in and highly recommend it. Here are some family shots from the trip – obviously they are just going to get better as we try to take them with the human baby included next year! You can see more photos of our over in our Facebook album. Oooh! Stunning! We are preparing to leave soon for full time rv’ing. Just got our site up and running: http://www.thetalelighttrekkers.com. Would love to hear any advice you have! Colorado is one of my top 3 states that I’m most excited to visit! Hopefully we can hit it before it gets too cold. Any idea on when that’ll be? Great post and pictures! Hello! Can’t wait to follow your adventures!! The temps/seasons in Colorado vary depending on where you planning on going. Obviously the mountains get colder sooner, but otherwise you can still camp into October/early November in some areas with warm weather.